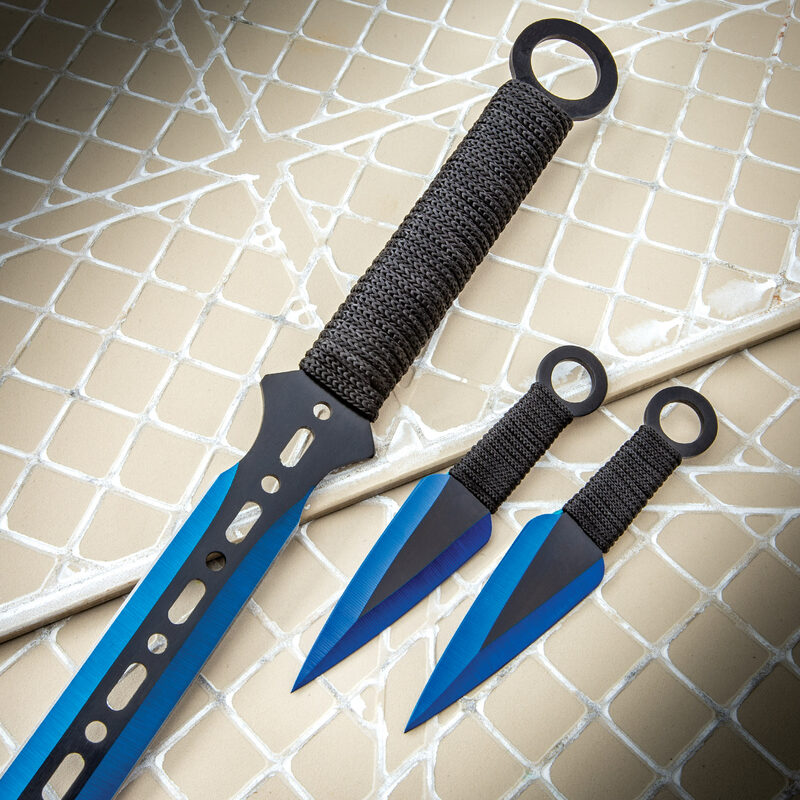 A set of three full-tang blades is the complete package you get when you purchase this set. 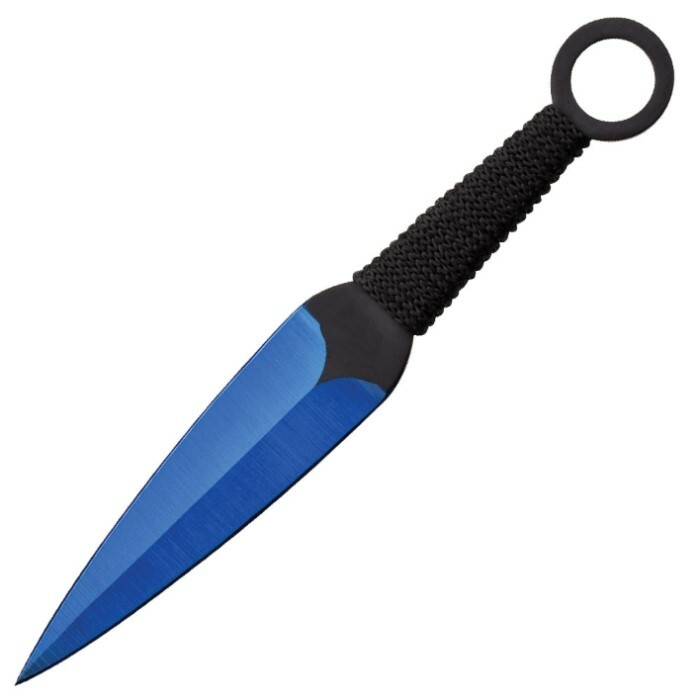 Constructed of rust-resistant stainless steel, the sword and throwing knives are finished in black and blue. 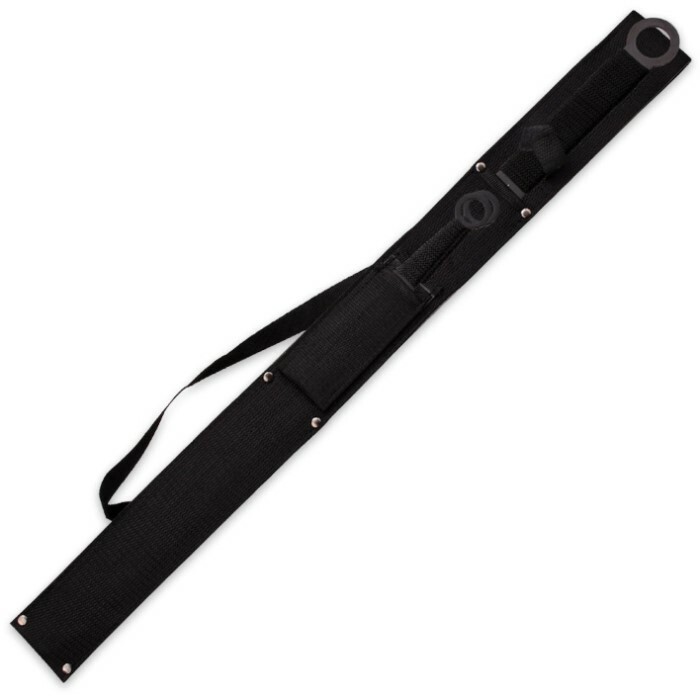 The handles are cord-wrapped for a secure grip when using them. The sword is 28” overall and the throwing knives are 6” overall. A nylon sheath completes the package.